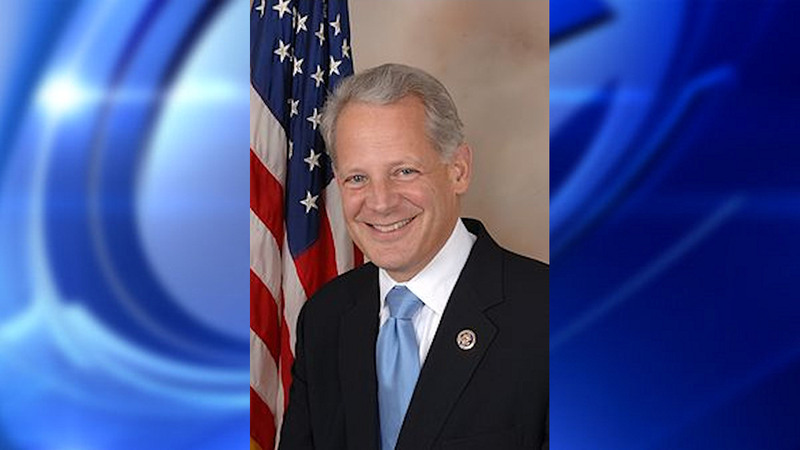 WASHINGTON (WABC) -- New York Representative Steve Israel, a member of Democratic leadership, says he will not seek re-election in November. Israel is 57 and in his eighth term. He is a top ally to House Minority Leader Nancy Pelosi of California and has led communications strategies to elect Democrats to the House. Israel's announcement is unexpected as he's among those seen as a possible successor to Pelosi. But in a statement Israel says it is time to pursue new passions and develop new interests, and spend more time writing his second novel. "Nearly 16 years ago, I was honored to take the oath of office and stand on the House Floor for the first time. Now, I've decided to leave the House in 2017. I hope to continue to be involved in public service, but it is time for me to pursue new passions and develop new interests, mainly spend more time writing my second novel. "I considered this decision deeply, but ultimately, I want to be a team player and ensure that my district, which is the only competitive district in House Democratic Leadership, remains in the hands of Democrats when I leave. The 2016 presidential turnout will help assure that. We've fought too hard for everyday Americans and against special interests to risk it. "While there are many things I am proud of during my time in office, I am proudest of the work we've done to help New York's veterans and military families, securing $8.3 million in backpay. Additionally, I'm proud of my work to protect middle-class New Yorkers, as a product of a middle-class Long Island family myself. "I am also proud of the leadership role I've been able to play in the House Democratic Caucus as chairman of the Democratic Congressional Campaign Committee and now chairman of the Democratic Policy and Communications Committee. "It has been an incredible and humbling opportunity to serve my community. I am grateful to my family, friends, staff, and most of all - the people of New York. While I will miss this place and the people I have had the privilege to serve, I am looking forward to spending more time home and frequenting my beloved New York diners. Simply put, it's time to pass on the torch." Israel grew up on Long Island in middle-class Levittown, the epitome of the modern suburb, and above all Israel is considered a fierce champion of the middle class. Israel represents northern Long Island and eastern Queens. Elected in 2000, to succeed Republican Rick Lazio, Israel rose to become a member of Democratic Caucus leadership - serving two terms as Chairman of the Democratic Congressional Campaign Committee and then Chairman of the Democratic Policy and Communications Committee.